The Little School utilizes the assessment tool, The Desired Results Developmental Profile© (2010). This tool is designed for teachers to actively observe, document, and reflect on specific learning tasks of each child. The tool provides teachers with information about the student’s development that can be used as they plan the curriculum, manage the classroom, and help each individual child learn and grow. At The Little School, teachers record observations of children throughout the day. Notepads often travel in pockets and aprons, making it easy and convenient to take notes and capture these observations. There are several types of observations: verbatim quotes, anecdotes of interactions, work samples, and photographs or any combination can all illustrate the various "measures". While checklists have their usefulness, tracking your child’s developmental progress with The Desired Results Developmental Profile© (2010) allows us to really understand your child through a broader scope. Observations track your child’s strengths and areas for improvement, as well as their interests and interactions. TLS uses two forms of the Desired Results Developmental Profile©. The DRDP-IT© is designed for use with Infants and Toddlers up to the age of 36 months. The DRDP-PS© is used for children 3 years to kindergarten entry. 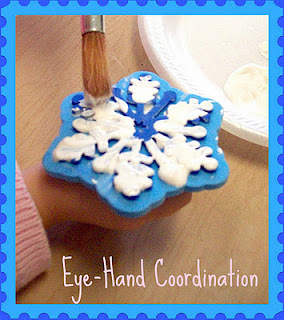 This same tool may be used for children who are at least 2 years and 7 months and who are participating in Pre-School programs. In order to reach these desired outcomes we focus on different domains of learning throughout a child's entire journey at The Little School . There are 5 domains in the Infant-Toddler program with 35 individual measures, while the Pre-school tool has 7 domains, with 39 measures. There are an additional 4 English language development measures for our children where English is a second language. Each domain represents a crucial area of learning and development of young children. Several measures make up a domain, with each measure covering one aspect of development within that domain. For instance, the first domain for Infants and Toddlers is Self and Social Development. A few of the measures contained in this domain are: Self Expression, Empathy, and Interactions with Peers. One of the domains for the Pre-school is Cognitive Development. Some of the measures included in this domain are: Problem Solving and Curiosity and Initiative. These measures are tailored to the developmental stage of the child. 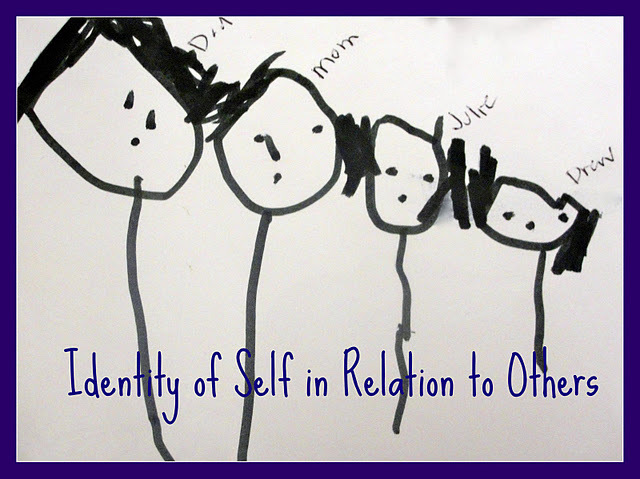 For instance, both the Infant-Toddler and the Pre-school tools contain the Measure: Identity of Self. 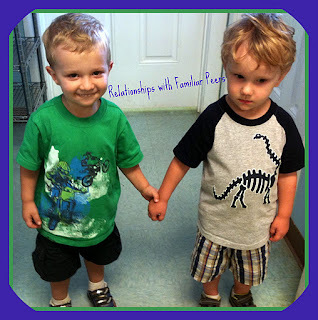 For the Infant-Toddler tool this is defined as: “Child shows awareness that self is distinct from and also connected to others”, while on the Pre-school scale this measure is defined as: “Child shows increasing awareness of own physical characteristics, preferences, and experiences as separate from those of others”. A child’s observed behavior is assessed along a continuum of developmental levels. For example, the developmental levels in the Infant-Toddler assessment range from Responding with Reflexes to Developing Ideas. Most measures have five developmental levels. All measures in the Pre-school assessment have four developmental levels: Exploring, Developing, Building, And Integrating. If a child is not yet consistently and confidently showing evidence for a certain level, but is showing examples of moving toward the next level, the emerging bubble (found at bottom of each measure) would be selected. Knowledge of the domains and accompanying measures allow teachers to enhance learning and to guide the classroom interaction and curriculum. Since teachers track children’s progress in their natural daily routines, it is not necessary to set up tasks or artificial situations to “test” the child. Rather, teachers seek out opportunities to observe the children as they move through both the structured and unstructured activities of the day. 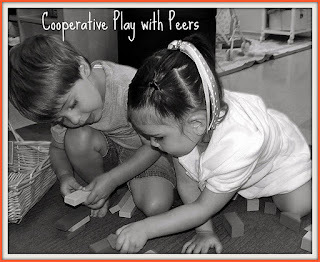 Observations come from the children’s interactions between one another, as well as adults, and from their activities and the materials they choose. Observations are written from an objective perspective, where teachers seek to describe, not judge, the observation process. It is also important for teachers to remain neutral or “stay out” of the observation. 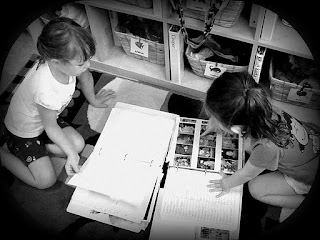 Teachers focus on what the child is doing and describe what is actually observed, rather than what they think the child is doing or what they think the child can do. For example, instead of saying that a child was sad when a peer took a toy away, one might say that the child cried when a toy was taken from them. It is often tempting to write based on our own interpretations. 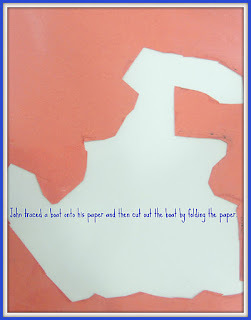 Teachers at TLS are still learning to trade “labels”, such as “John is happy” for objective descriptions, such as “John laughed”. We were studying dinosaurs this week and had frozen some small plastic dinosaurs in ice. 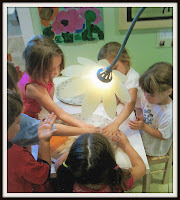 We invited the children to figure out how they could “excavate” the dinosaurs from the ice. Chloe tried several ways to get her dino out. First she thought light might work so she asked Ms. Davian to shine the lamp on it. She decided it wasn’t strong enough so she held the ice cube in her hands to see if the heat from her hands would melt it. As it melted she had fun splashing the ice-cold water onto her face! 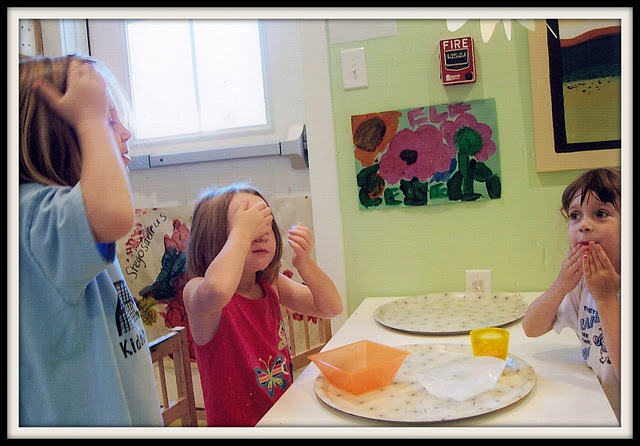 Engaging an infant or toddler in a simple game of “peek-a- boo” can provide opportunities to observe the child’s development in Interactions with Adults, Memory, and Attention Maintenance. 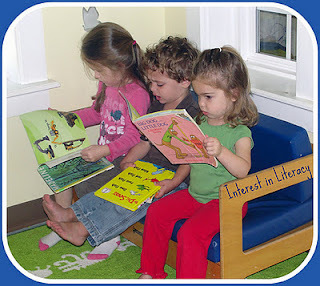 When a teacher reads a book to Pre-school children and leads a discussion about it, the following measures can be observed: Relationships with Adults, Expression of Self through Language, and Interest in Literacy. 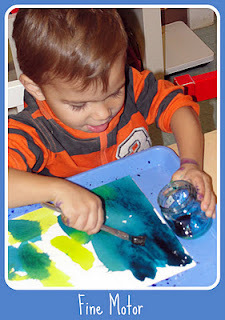 Lakshman was working on his rocket at the art table. He was placing the stars carefully on the body of his rocket. As he did this he was counting his stars and told me how many he had. He said that they were very small and that he had to go slow to stick them on. He also told me how many stars he had and stated that he sure made a nice rocket. Nicholas was painting beside another child at the table. He lifted the paintbrush off of his paper, turned to the other child and held it over her paper as he asked, “Do you want any purple?” The child didn’t respond and Nicholas then asked, “Where can I put purple on your paper?” The child said that she did not want any paint and Nicholas added more purple paint to his own paper. This would simultaneously serve as an example of the other child demonstrating Impulse Control as well and/or a beginning level of the measure Conflict Negotiation. Vera was placed on her stomach underneath a mobile that makes sounds and has a hard plastic circle that has flashing lights and music. The lights instantly caught Vera’s attention. She began kicking her legs when the lights flashed on and off. Other children were playing and crawling nearby, but she kept watching the flashing lights on the mobile. When the lights stopped flashing she began to touch the circle and make her own noises. Vera continued touching the mobile and then rolled on her back to touch the top of the mobile. Thank you for your Attention maintenance in reading this issue of the TLS blog! “Davian is second to none.” The staff spotlight ***shines*** on her today! Ms. Davian teaches Pre-schoolers with Ms. Diana in the green building. 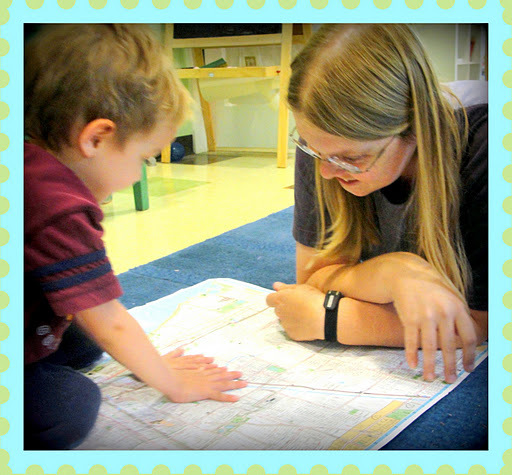 One of the many things that Davian is passionate about is travel and maps to help her find the way. How fortunate for us that she found her way to The Little School! Oh, its too hard to pick just one, but these are a few of my favorites in no particular order: The Goonies, Labyrinth, Spaceballs, Napoleon Dynamite and Forrest Gump. 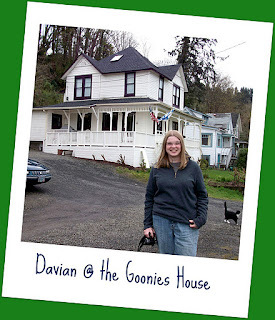 Last year I finally fulfilled one of my childhood dreams to visit filming locations from The Goonies! We traveled out to Astoria, Oregon and visited several buildings that were featured in the movie, and then drove out to the beach to see Haystack Rock, too. Now whenever I watch the movie I smile and say, "I've been there!" The Hundred Languages of Children. It gave me a whole new perspective and respect for early childhood education. I'd rather they make it a cartoon; one without the 3-D gimmick! I'd want to be able to fly. That way I wouldn't have to put up with the hassles of airports or traffic. I miss the sense of community from my childhood neighborhood. There were a lot of children roughly the same age, and we spent the winters sledding and building snow forts, and in the summers we spent many late nights playing Kick the Can. I wanted to train sea animals, be an actress, and be a contestant on a game show. So far I've fulfilled one of those childhood aspirations! I’d choose silence. There is no way I could remain sane listening to the same song for the rest of my life. TLS values each teacher’s individuality. Here I have the opportunity to design curriculum based on the emerging interests of children, AND I get to share the things that I love (i.e. baseball, stories from my road trips, and the adventures of my dog, Magenta) with the children and hopefully it entertains and/or inspires them. If you were a car what kind would you be and why -- what color? I would be a 2001 Burnt Orange Jeep Cherokee with wing windows because...well as the saying goes, "Its a Jeep thing, you wouldn't understand." How the Grinch Stole Christmas, mostly because I enjoy saying the line: “All the Whoos down in Whooville will all cry Boo Hoo." The hollow one that I got stuck inside years ago when I was a child. It was a little upsetting and embarrassing at the time, but it makes for a great story these days! Thank you to Davian for her dedication and for sharing so much of herself with our TLS Pre-schoolers!